Tom Sutcliffe and his guests, writers Sarfraz Manzoor and Bidisha, plus musician Pat Kane, review the week's cultural highlights including the film The Fighter. Tom Sutcliffe and his guests - writers Sarfraz Manzoor and Bidisha and musician Pat Kane - review the week's cultural highlights including The Fighter. 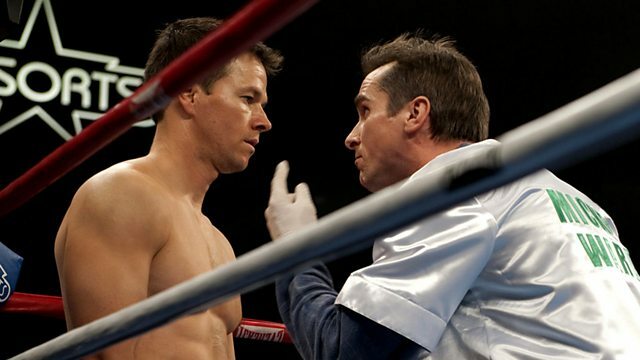 Boxing half-brothers Micky Ward (Mark Wahlberg) and Dicky Eklund (Christian Bale) are the central characters in David O. Russell's film The Fighter. Dicky's attempts at a comeback are hampered by his crack addiction, while Micky finds himself playing second fiddle to his brother instead of establishing his own career in the ring. The Champion by Tim Binding is a novel which explores the yuppie era and its fall-out through the eyes of Charles Pemberton - a perpetually disappointed young man who sees the old order of his small hometown in Kent swept away by the charismatic and forceful entrepreneur Clark Rossiter. Greenland, at the National Theatre in London, is a play about the challenges of climate change, written by four playwrights - Moira Buffini, Matt Charman, Penelope Skinner and Jack Thorne. It takes the form of a collage of overlapping narratives, many of which deal with the gap between our intellectual and emotional responses to the problem. The work of artist Susan Hiller often deals with hallucinations, dreams and supernatural beliefs. A retrospective exhibition of her work at Tate Britain in London brings together work from her 40 year career. Peter Kosminsky's new drama for Channel 4 - The Promise - deals with Palestine just after the Second World War, when British troops were vainly trying to keep the peace between Jewish refugees arriving from Europe and the region's Arab inhabitants. Claire Foy plays Erin - a young girl who finds the diary which her grandfather kept while he was stationed there and takes it with her when she visits Israel with a friend.